MILAN (AP) — Milan Fashion Week promised to be a running tribute to Karl Lagerfeld, who died Tuesday as collateral events got unde way. French designer Jean Charles de Castelbajac, who made his debut as creative director for the iconic Italian knitwear fashion company Benetton, said he hoped to emulate at Benetton what Lagerfeld did at Fendi and Chanel: Keep himself in the background “to reveal the DNA of the houses. 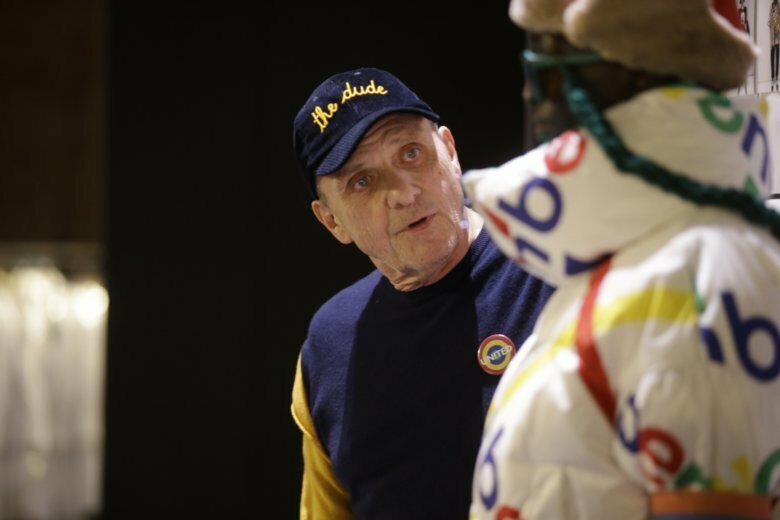 “If I can do that as well with Benetton, I will be happy,” de Castelbajac said. Lagerfeld was a Milan Fashion Week mainstay as Fendi’s creative director, a position he had held since 1965. Fendi’s latest womenswear collection will be shown Thursday. Benetton, the Italian fashion brand famous for its colorful knits and provocative advertising campaigns in its 1990s heyday, is relaunching itself with the aim of attracting the trend-setting millennial who grew up with the brand as a shopping mall staple. Jean-Charles de Castelbajac’s inaugural collection aimed to tap the brand’s colorful past with bright primary shades while providing more updated branding messages with oversize United Colors of Benetton logos built in to trousers or jackets as panels, and the brand’s familiar octopus appearing as a repeated motif. The designer known for his pop images struck a whimsical tone with bright plastic sunglasses on chunky chains, a belted poncho dress with logo elements reinterpreted as symbols, quilted tops knee-high “moon boots” worn with argyle tights and puffer jackets. Castelbajac also aimed at keeping Benetton’s more recent, conservative customer with toned-down shades of black-and-white, browns and khakis that played with the octopus logos as a sort of ethnic print and updated the silhouette that included jodphurs and knickers. A silhouette of Mickey Mouse hugs a baseball jacket from behind, white-gloved hands planted on the front panels. There is no going wrong with the basic look: a quilted shirt over a pair of canvas pants, bright or toned-down. That can be dressed up a dozen ways, from a white Charlie Brown vest closed at the sides with Velcro, or an oversized canvas bag worn fastened around the waist like an apron. De Castelbajac said he also aims to keep prices accessible. For every 300-euro Montgomery jacket, there will be a 9-euro T-shirt or tights. “This is our sense of wanting to do a revolution. To do creativity, to do color, quality with also an ecological conscience with affordable prices,” he said. Pieces from the collection are already available for sale in some Benetton stores and websites. Benetton, which hasn’t had a brick and mortar presence in the United State for some time, has its own U.S. e-commerce site. “We wanted to return to the topic that for us was very dear, that of colors of youth of enthusiasm,” said Luciano Benneton, one of the brand’s founding siblings who returned to the company as chairman last year, some six years after he stepped down.